Diamond Select Toys sent along details and photos for their full line up of DC Comics, DC TV and DCEU Vinimates. The vinyl figures will cover figures from the comics, Justice League, Wonder Woman, The Flash TV Series and the Arkham Asylum video game. See the update below and the photos after the jump. The first series of DC Comics Vinimates is in stores now, with Batman and Harley Quinn at comic shops, Walgreens and Toys”R”Us, with exclusive figures at all locations. 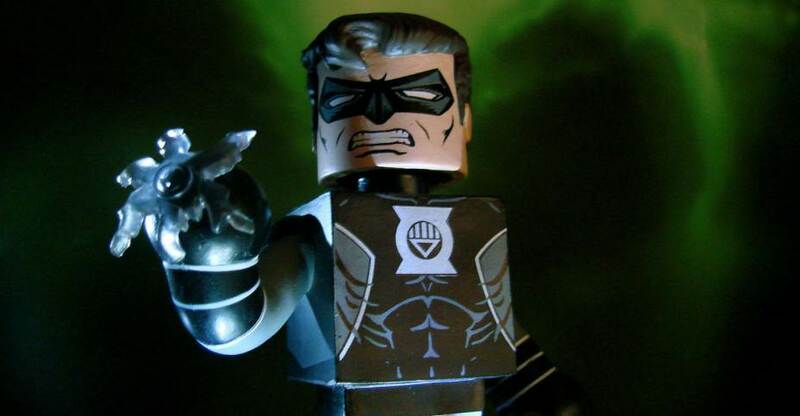 Walgreens has an exclusive Black Lantern Hal Jordan figure, while comic shops and Toys”R”Us will get Green Lantern Hal Jordan. Additionally, Toys”R”Us will get exclusive Vinimates of Blackfire and Flashback Starfire from the Cartoon Network series Teen Titans Go! Series 2 brings Superman, Wonder Woman and the Joker, which will be available at all locations. Exclusively at Walgreens, the Black Lantern series will continue with Black Lantern Batman, while Toys”R”Us will get an exclusive Vinimate of Nibor, the reverse-Robin from Teen Titans Go! In between Series 1 and Series 2, all locations will get Vinimates based on the Justice League movie. 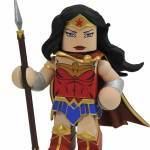 Series 1, which hits comic shops November 2, will include Batman, Wonder Woman and an exclusive figure of the Flash. At Walgreens, Batman and Wonder Woman will ship with an exclusive Battle-Damaged Batman figure. Series 2 of Justice League Vinimates will include Superman, Cyborg and Aquaman, available at comic shops and Toys”R”Us. Toys”R”Us will also offer Batman with those figures. Future releases will include sets of Vinimates based on the Flash TV series, the Supergirl TV series and the Arkham Asylum video game. Pre-order comic shop-shipping Vinimates through your local store, as well as through online retailers. Find your nearest Walgreens store at Walgreens.com, and your nearest Toys”R”Us at Toysrus.com!